If you want to unlock the other characters, you'll have to do this first. Super Mario Run is basically just a Toad-herding simulator — the little mushroom-headed dudes are the most valuable currency in the game. Recruiting different colored Toads into your kingdom is vital to expand your empire across the entire visible light spectrum. Running the Toad Rally minigame can quickly get your Red Toads into the hundreds, but for a time there are virtually no yellow, purple, blue, or green Toads, which you need to unlock other characters. What gives? 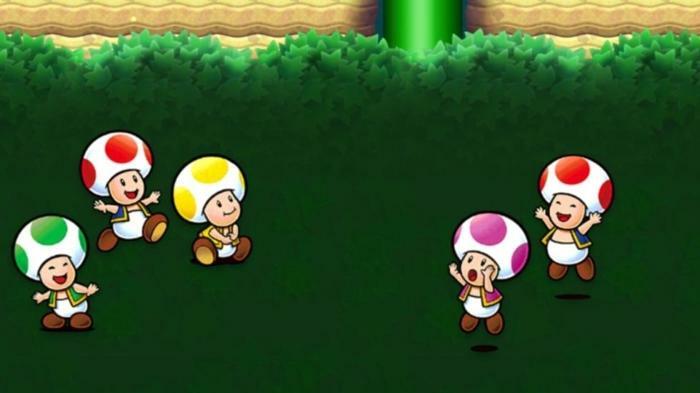 Access for those other colors of Toads is locked behind progress in the main World Tour of the game, which ultimately means that you can’t access any of the other Toads — and therefore any of the other unlockable characters like slippery-footed Luigi or the pink Toadette — without dropping the $9.99 for the full game. You have to proceed through the World Tour far enough to unlock more stages in Toad Rally so that your more advanced rival matches have collected their own differently colored Toads. Where you at Purple, Blue, Yellow, Green? For me, that happened only after I beat World 2-4 “Airship Cannons…Fire!” but it’s probably that it has more to do with the stages you’ve unlocked and the matches you get based on your total Toad number. From there, you’d just need to run Toad Rally as you normally would, but when selecting opponents, be sure to check the “Expected crowd:” field to ensure that other colored Toads will show up. Then, you just have to make sure you defeat whatever opponents you challenge, so be sure to check out our handy guide. We’ve heard differing reports as to when you start seeing more than just Red Toads, but it is all but 100% likely that access to a diverse array of Toad races is locked behind the purchase of the game. But why are there two Reds? People have been having a lot of fun with Super Mario Run. It became available for download on iOS yesterday, people are loving it way more than Pokémon GO these days, and everybody’s favorite part is this Toad Rally, which requires a lot of nuance, finesse, and strategy — which we’ve got you covered on.